After three months of eager wait, my 99.1 finally arrived this morning!!! Apologies in advance for the quick but poor photo quality. 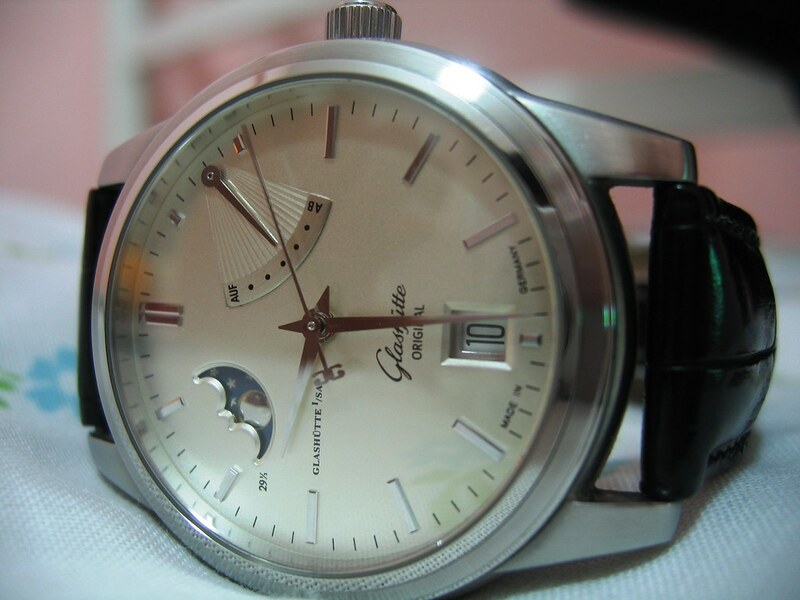 The 99.1 certainly does not pale in comparison to my two other German watches from Glashutte Original! Hoping for Dirk to release a smaller Dornblueth to accompany my 99.1. I would certainly be in the front of the queue to get it!! All are real beauties. Thank you for sharing and wear it in good health. Looks wonderful, and that's quite a collection of Glashütte creations you're amassing there. I notice that the caseback rim doesn't have the little notches in it to fit a wrench. Anyone know if this is now standard? If so, does the caseback still unscrew, or is it now a snapback? This caseback is now standard. It screws on and off, using a special tool. I think it's a big improvement, both functionally (because there's no grooves to rub your knuckles on while winding the crown) and aesthetically. Also something note the engraving on the bezel of the caseback, which I believe is also something newer to Dornblueth. vincesf wrote: Also something note the engraving on the bezel of the caseback, which I believe is also something newer to Dornblueth. As for the engraving on the caseback, I have actually asked Dirk to customise it for me. Think another Dornblueth fan here engraved the name of his child on his caseback. It really is a lovely watch! and nice collection! You'll love the 99.1, I'm sure. Correct, it's me! I asked Dirk to engrave my child, my wife and mine names on the caseback..